Little, Brown Books for Young Readers, 9780316666039, 32pp. From the bestselling author Todd Parr comes a reassuring book about being who you are. 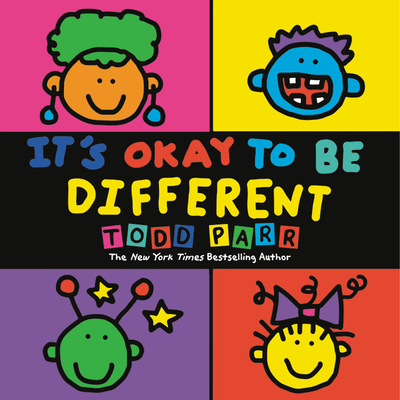 Told with Todd Parr's signature wit and wisdom, It's Okay to Be Different cleverly delivers the important messages of acceptance, understanding, and confidence in an accessible, child-friendly format. The book features the bold, bright colors and silly scenes that made Todd a premiere voice for emotional discussions in children's literature. Targeted to young children first beginning to read, this book will inspire kids to celebrate their individuality through acceptance of others and self-confidence--and it's never to early to develop a healthy self-esteem. It's Okay to be Different is designed to encourage early literacy, enhance emotional development, celebrate multiculturalism and diversity, and promote character growth.